Ronaldinho is back at Barca! Spanish giant, FC Barcelona have confirmed the return of Ronaldinho to the club. The football legend who spent five seasons at the club and played 207 times for the Catalans between 2003 and 2008, scoring 94 goals and winning the 2005-6 Champions League as well as back-to-back Liga titles has agreed to be a Club ambassador & representative at various events & activities. A club statement read: “FC Barcelona and Ronaldinho have reached an agreement whereby the Brazilian will become a Club ambassador and representative at various events and activities over the coming years. “Ronaldinho will also form part of the Legends project, a team of former players who, through matches around the world, will help to globalise the Barça brand and its values, and will take part in clinics, training sessions and institutional events, among other activities organised by the Club. “Through FCBEscola, FC Barcelona and Ronaldinho’s football academies will be seeking different ways to collaborate both in terms of the brand and possible associations with the same. The player will also appear in the opening and closing ceremonies at some schools and take part in activities in which he will share his experience in educational talks. 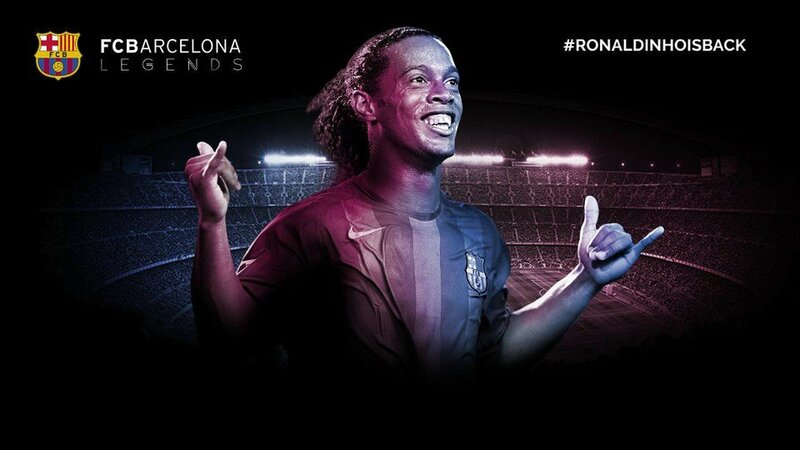 “Ronaldinho will also take part in FC Barcelona Foundation events related to UNICEF. The Masia 360 project will be another one of the Club projects where the Brazilian will be present, helping with the training and coaching of the athletes involved. PreviousCristiano Ronaldo Named The Highest Paid Sportsman of 2016. NextOlamide, Juliet Ibrahim named GLO ambassadors. Meet the Ghanaian monarch who works as a mechanic in Germany.